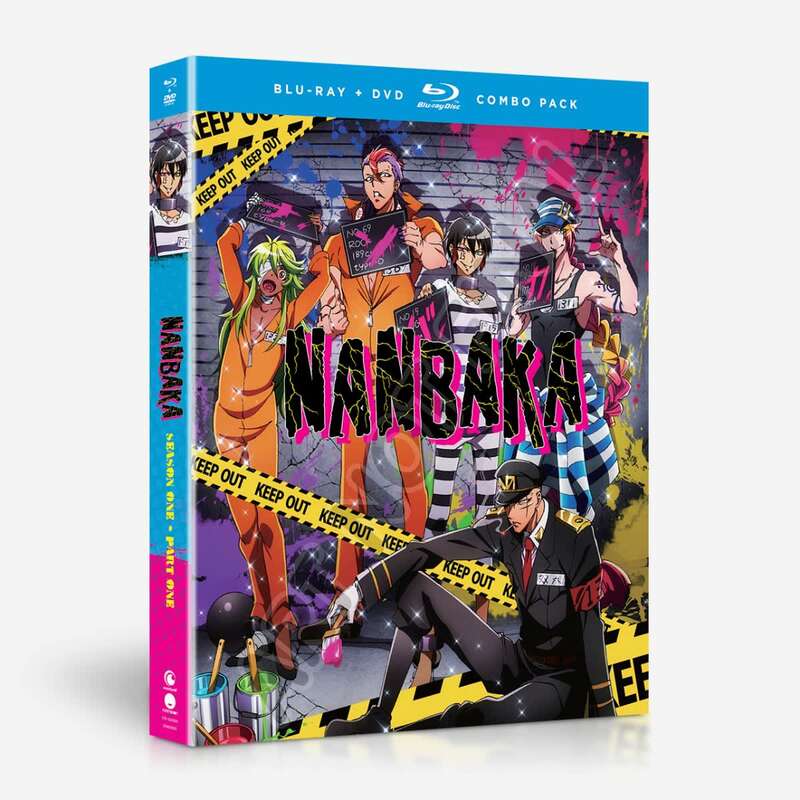 Nanbaka Part 1 contains episodes 1-13 of the anime directed by Shinji Takamatsu. Welcome to Nanba, the world’s largest, impenetrable prison that houses some of the most dangerous and heinous criminals. At least that’s what they boast. Locked away in cell block 13 are four inmates out to prove that being in prison doesn’t mean you can’t have fun! 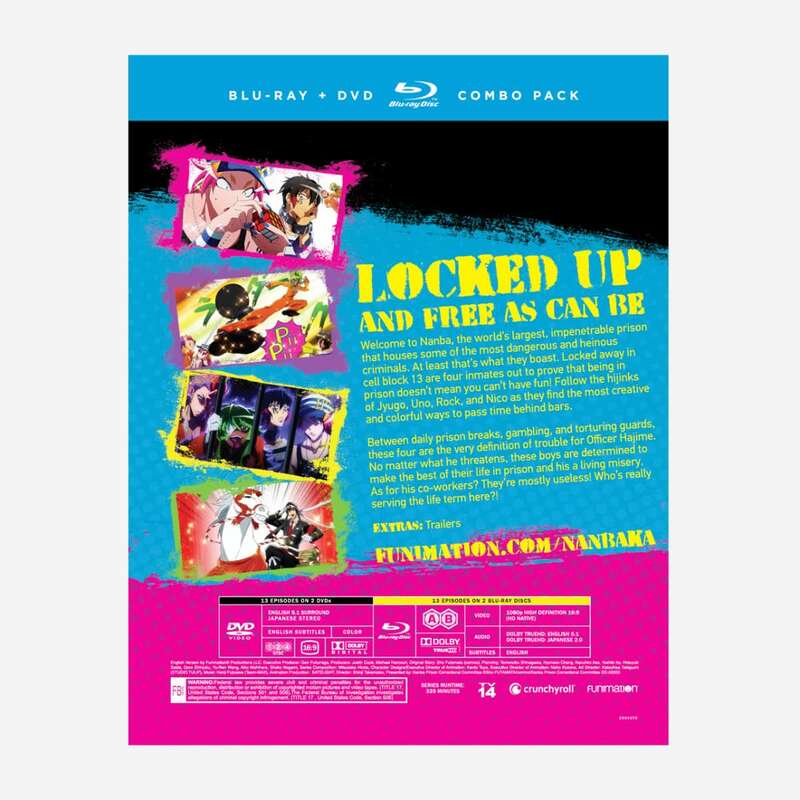 Follow the hijinks of Jyugo, Uno, Rock, and Nico as they find the most creative and colorful ways to pass time behind bars. Between daily prison breaks, gambling, and torturing guards, these four are the very definition of trouble for Officer Hajime. No matter what he threatens, these boys are determined to make the best of their life in prison and his a living misery. As for his co-workers? They’re mostly useless! Who’s really serving the life term here? !